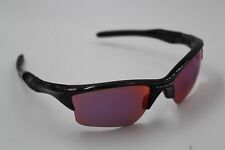 Oakley Custom Half Jacket Black w Ice G30 Titanium Clear 3 Lens Set Sunglasses . This page was last updated: 26-Apr 05:27. Number of bids and bid amounts may be slightly out of date. See each listing for international shipping options and costs.